Win a £200 Amazon Voucher! Joblogic is giving you the chance to win a £200 Amazon voucher. Simply tell us how you currently manage your jobs. The winner will be contacted via email. How do you currently manage your jobs? Terms & Conditions: Only one entry per person allowed. The competition will run until Tuesday 30th April 2019 and the winner will be notified via the email address provided. 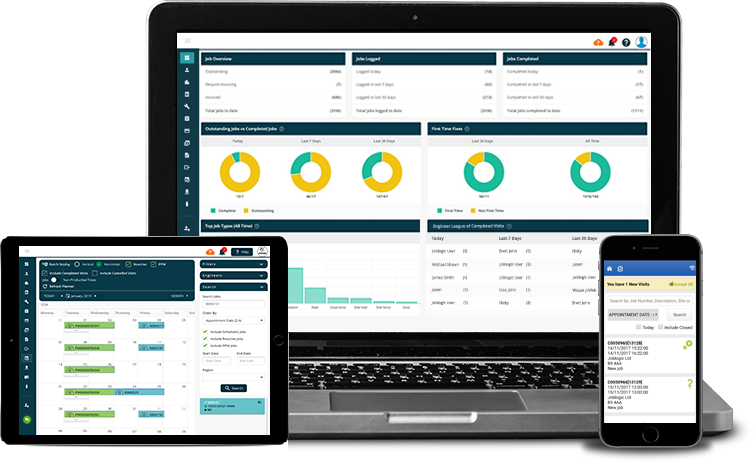 Joblogic software connects your back office, mobile workforce and customers together with an all-in-one solution. You can log and track jobs more effectively, send out invoices faster, accept online payments from your clients, and allow your engineers to view important information on-site with the Joblogic Mobile App. To see how Joblogic could improve your service business, see below.